Imphal, September 02 2011: Sirarakhong villagers have boldly claimed that the village can solve the entire shortage of agricultural products faced by the state if the government provides modern technology to the villagers. Sirarakhong, a small but beautiful village in Ukhrul district, 85 kms from Imphal, is blessed with all the natural beauties along with rich and fertile lands. One can reach Sirarakhong from Imphal through Mahadeva village junction via Tongou village. Despite the worst of conditions of the roads from Tongou to Sirarakhong, people travel through this route only since there is no other option. About 10% of the total population of Sirarakhong are government employees and the remaining 90% are farmers engaged in cultivating paddy and chilli fields. The most important and most commercial agricultural product of this village is Hathei (indigenous chilli). Apart from this rice, cabbage, cauliflower, potatoes, guava, maize, mango, pumpkin, banana, Mirliton squash, etc. are produced in abundance . The village is very rich in agricultural products and most of the villagers depend on these products for their livelihood. So almost all households produce agricultural products much more than the required quantity for their survival. As such the surplus amount of products are either sold out in the markets in Ukhrul and Imphal or are exported outside. But unfortunately the sale of these agricultural products are not channelised in a commercial way due to the unavailability of proper markets nearby and also due to unavailability of modern technology. Speaking to this reporter, V Philangam Zimik, Chairperson, Shanaolong (women society), Sirarakhong said that although the village produces a huge quantity of agricultural products, most of the products get rotten in the village itself due to absence of markets. She further said that if the agricultural land of Sirarakhong village is utilized properly by applying modern technology than this village can solve the whole state's shortage in agricultural products to a large extent. 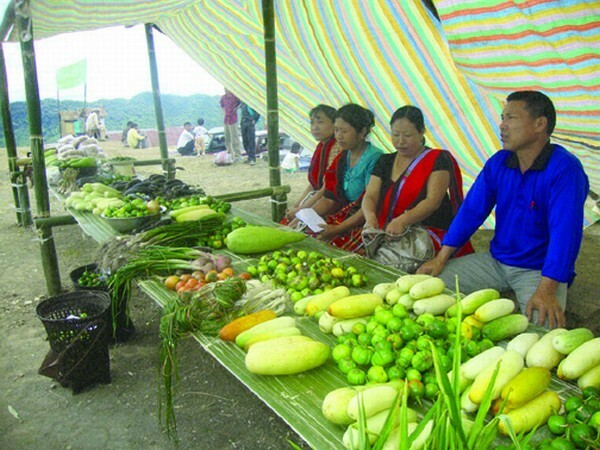 Another villager, Achan, a farmer by profession, told this reporter that if at all the villagers have to sell their agricultural products they have to transport the products either to Imphal or Ukhrul but in lesser quantity. This is because of the deplorable road conditions from Sirarakhong to Tongou village. Therefore every year the villagers lose a huge quantity of their agricultural products due to transportation problems. If the government takes initiatives on the construction of roads and solve the transportation problem then the villagers will be grateful to the government.